Religion has always been an imperative part of the Indian culture. India is home to at least 9 recognized religions. Hinduism, the largest religion in India, has different deities resulting in different occasions. One of the most popular occasions is Kumbh Mela. It is a Hindu festival where pilgrims assemble at one place to bathe in holy river. Four fairs are organized at different places – Prayag Kumbh Mela, Haridwar Kumbh Mela, Nashik-Trimbakeshwar Simhastha and Ujjain Simhastha. The places are selected by rotation and it returns to one place after every 12 years. At Haridwar and Prayag, ‘Ardh’ (half) Kumbh Mela is also held after every six years. Ardh Kumbh Mela 2019 is scheduled to happen in Prayagraj. It is slated to run from 15th January to 4th March 2019. It is around a month away and the preparations are in full flow. The scar of 2013 Kumbh Mela Stampede at Allahabad Railway Station is still fresh in the mind. To make sure none of this is repeated, Indian Railways are geared up to handle the public. They have a detailed plan which includes deploying 800 special trains to transport public to and from the city. The preparations are done by the supervision of NCR, Northern Railway and North Eastern Railway. More than 40 different projects have been commissioned costing around Rs 700 Crore for Kumbh Mela 2019. 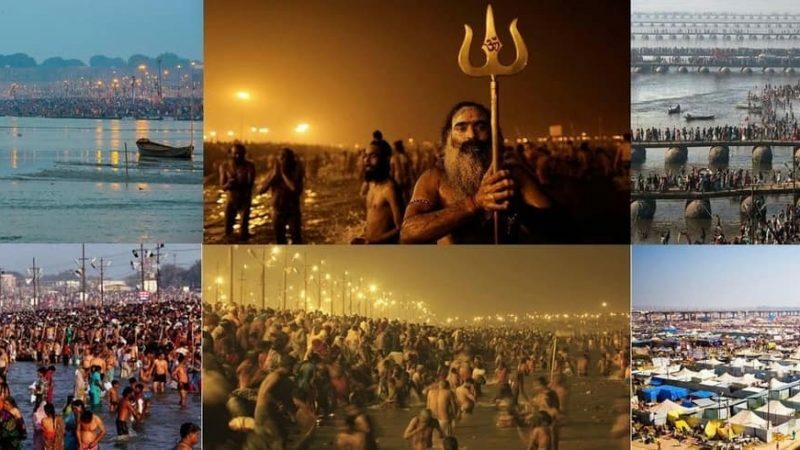 More than 12 crore people are expected in Ardh Kumbh Mela 2019. It is a staggering number and will be the largest human gathering. To make sure that there is no problem in their stay, housing facilities are planned by the government. There is staying facility at railway station too. Four big enclosures to house thousands of devotees have been constructed at the Railway station itself. Several temporary tents and shelter homes are being set up in the city. All of this has been done to accommodate pilgrims who are going to visit this holy festival. The footfall in Ardh Kumbh Mela 2019 is huge and government has taken due notice. To elevate the image of UP and present itself with a difference, complete makeover of the city is happening. If you are visiting Allahabad during this time, you will find the city more colorful. The aim of the Uttar Pradesh government is to provide an experience for the devotees that is going to be remembered by them for a lifetime. Roads, lanes and chowks leading to the holy river are being cleaned. For the 4 akharas, Rs 500 crore have been allocated. Not only this, walls have also been decorated. Centre backed project, Namami Gange, has been projected very well in the form of paintings. Prayagraj and India is ready for Kumbh, are you? When you are a marketing manager who has got the responsibility of establishing a product or service in the rural market, the modus operandi is very different. To do rural promotion effectively, you need to keep a few key elements under consideration. When you are the marketing manager doing rural promotion planning, it is very much essential to make a note of a few critical points. Follow these points to reap good profits. Dont think that it is the responsibility of your sales team only. You should also be familiar with the rural market you are designing promotion plan for. You need to know what language the people understand, what food do they eat and in what circumstances do they live? Unless you know it, you can neither derive the right marketing strategy nor do effective rural advertising in india. In the rural areas, people speak dialects. Unless you become proficient in it, you cant establish communication channels with the buyers. Conversion of prospective customers into actual customers can happen only when you talk something that makes sense to them. Not only the language but you should know about their customs, traditions and folks. You should not forget that it opens new marketing avenues for your product. Rural marketing agencies in india like VrittiImedia used cultural and religious festivals as great opportunities for product promotion and marketing. Remember, the psychology of rural customer is very different. You need to be assertive while marketing your product or service in a rural market. If you push the customers about it, then they become defensive.Also, they start suspecting the product. It destroys the whole purpose of marketing. Hence, create the rapport with your company first. Let the buyers understand you well; you should offer the product after that. Wondering about the role of public relations in rural advertising strategies? It is the key aspect. You need to contact the newly acquired customers, channel partners, and others so that they know you, your product and your company. Experts say that building public relation is much more important in the rural market than the urban one. Here, people believe in personal relations, and they trust a company based on it. Why Experts Say The Rural Marketing Industry Had Gone Way Too Far? The rural market plays a significant role today, in the economy of India. It has acquired significance in the past few decades, and marketing managers cant take it for granted. There has to be a separate marketing strategy for the rural areas which corresponds to the thinking patterns, buying preferences and likes and dislikes of the people. Nowadays, a rural marketing agency in india gets more challenging and critical projects to prove the marketing skills. What made it so exciting? Well, the revolution started in the ninth decade when India decided to follow the path of globalization and open economy. The country has not looked back since then. Yes, it is perhaps the most significant aspect of the recent economic development. The growth and prosperity are almost uniform everywhere. The rural markets are consuming large quantities of products, and they play an influential role in the marketing strategy of a company. For example, a Mumbai-based company which manufactures a product that is consumed in the rural areas of Rajasthan has to develop a separate strategy for Rural Marketing in Rajasthan. The marketing company cant drive marketing and promotion based on the generic strategy. It is perhaps the biggest change happened in the recent years. Why do experts say that the rural marketing industry has gone way too far? Since the Indian economy is rapidly transforming into a vibrant consumer market, the markets are flooded with uncountable varieties of products. These products are equally popular in both the urban and rural areas. However, a rural marketing agency in pune has to think separately for the rural audience because they think differently and perceive the products differently. This was not the case earlier. In the old days, distribution strategy was the only differentiating factor. Marketing companies were not developing a marketing strategy for the villages and towns. It is another big change. Earlier, rural marketing was focused on distribution strategy only. With the infrastructural development, it is easy to distribute products and services to the interior villages also. Therefore, the market has become highly competitive. With the growing market size and sophistication, buyers compare the products minutely and then decide whether to purchase or not. Experts in Rural marketing in Maharashtra or any other state have seen the tremendous change in the mindset of buyers in the recent years. Connecting rural India no longer remains a matter of choice but it the need of the day today. Since there is saturation in the urban market, profitability ratio shows a decline year after year. On the contrary, the rural market shows a promising future due to the economic development and increasing awareness. Rural consumers are more conscious about the lifestyle today, and they dont hesitate in spending high. It is quite obvious that separate rural advertising strategies are being developed to trigger the buying instinct. Big, small and medium-sized companies are busy in conceptualizing ideas that will work well. Vritti Imedia is one of the leading companies in the niche. It has proved the excellence by launching marketing strategies that created history. Each of the projects handles by them got tremendous success. Experts who know the tricks and knacks of consumer behavior in India put emphasis on the need of developing campaigns in local languages or dialects. 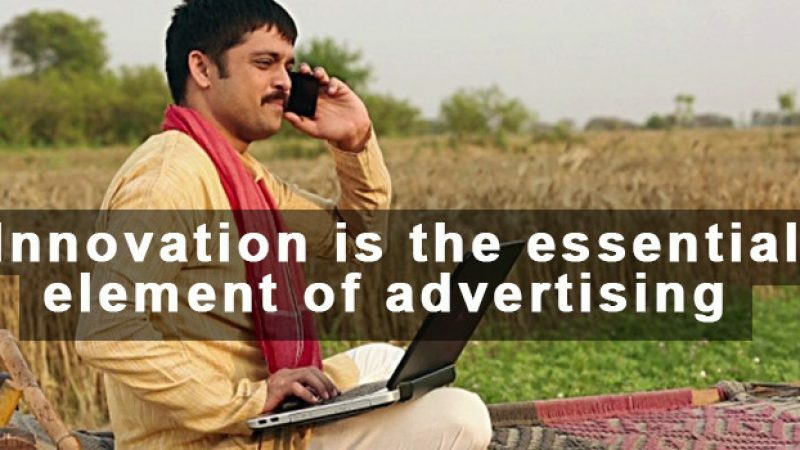 They feel that rural marketing companies in india should speak the language of the masses if they want to reach to the heart of rural consumers. Marketing companies find it dauntingly challenging to develop strategies in the vernaculars. However, for Vritti Imedia, it is as simple as ABC. Since they have immense expertise in developing ideas using local languages in the past, developing a new idea isnt a big deal for the creative team. Vritti Imedia has experimented vernacular marketing campaigns to attract rural consumers in the past while managing advertisement in rural areas, and the results were outstanding. Whether it is the much acclaimed Audio Wala Bus Stand initiative or campaigns during Kumbh Mela or Wari in Maharashtra; the preference was always to the local languages. Since the majority of people understand what is being conveyed, connect is much better. Vritti Imedia is amongst the leading rural marketing agencies in india that use local languages and dialects quite frequently. Since the products are targeted to the audience that belongs to the interior towns and villages, use of local language is inevitable. The local people are not familiar with English. Vritti could grab the attention of a large crowd by developing brilliant ideas that lured local people. They have a team of experts who know how to manage the things. The campaigns brought by them were highly effective and result-oriented. They made a huge impact in states like Rajasthan, Punjab, Karnataka, Andhra Pradesh and Goa. You would feel overwhelmed to know that with a projected annual growth of 15 t 20 percent, rural markets in India open new opportunities of meeting top lines. It is needless to say that there is a hit on the bottom lines initially as you have to spend additionally on rural promotion and marketing initiatives. As the expenditure drops in the long run, there is a significant boost to the business. Amongst the 1.3 billion people spread across 29 states and 7 union territories, more than 70 Million people live in villages and small towns. It is a considerable population. However, sadly, all marketing and promotional drives till recent times were targeted to the remaining 30% people living in mid-size towns, big cities and metros. The reason was quite simple; the maximum business share was contributed by the urban population. Several reasons such as lack of awareness, illiteracy, and less purchasing power always kept this sizeable population out of the mainstream. Why is rural marketing so challenging? India, a country with incredible cultural, economical, and linguistic diversity throws a big challenge in front of marketing managers and advertisers. In a country where people speak more than 100 languages and over 1600 dialects, it is impossible to design rural promotion strategy that fits for all. However, marketing managers are ready to take the challenge as it is still simpler to conceptualize creative ideas for rural promotion than struggling in the fiercely competitive market of big cities and metros. They work hard on the rural market which contributes more than 60 percent of the GDP. Btl activation agencies in Mumbai makes use of creative ideas that attract the majority of the rural population. There are agencies such as Vritti Imedia that worked in the rural marketing niche with a focused approach and open, creative minds. They conceptualized and implemented unique and never-thought-earlier kinds of ideas that changed the way people were looking at the rural market. Vritti Imedia proved that innovative and creative ideas always get noticed and appreciated by the audience. Use of bus stands for promoting brands and products was one of the unique ideas that got clicked in the rural markets. Similarly, Vritti explored the possibilities of brand building in big religious events. All these initiatives have been quite successful and effective. It proves that innovation always brings a phenomenal change in business. Can you remember a time when you were a small kid, and traveling was a thrilling experience for you? Yes, the bus service is like a lifeline in the rural and urban areas in India. It is a low-cost, convenient and fast mode of travel. If we think about the rural India, there has been an enormous development in the infrastructural facilities in the past few decades. Roads have improved, and bus stands are now equipped with new technology. No wonder, innovative and fertile minds of marketing managers grabbed the opportunity of utilizing bus stands for marketing and promotion. Products and services advertized in the bus stand grab the attention of thousands of people in a day. Isnt it a wise idea? Yes, indeed! Vritti Imedia is a pioneer company that realized the immense potential of it. 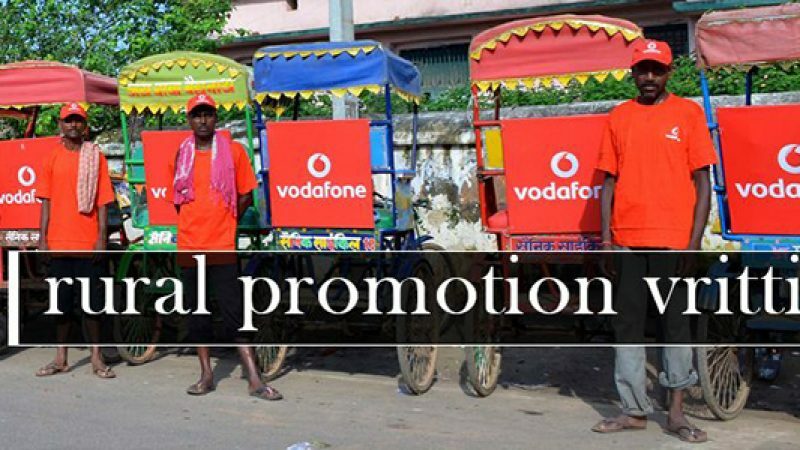 The company came out with a revolutionary idea that changed the way rural marketing is done in India. When marketing executive of Vritti Imedia got the idea of promoting products using bus stands, they were not looking at the conventional methods of hoardings or backlit billboards. They wanted to have something unique that nobody ever thought about. Then the idea of using the Audio announcement network of bus stands for promotional activities clicked in their minds. Nobody had used this channel earlier. Hence, there was first movers benefit. The most crucial part was to choose the states. To make the product campaigning in the bus stands successful, it is essential that the bus services are perfect. Hence, they picked Maharashtra, Punjab, Karnataka, Rajasthan and Goa. These states are well-known for great roads and efficient bus services. Since the services are lucidly superior to others, the footfall is also high. As entrepreneurs come to know about the grand success of the idea, they want to utilize it for market promotion. Audio Wala bus Stand is a concept backed by thorough research. When others overlooked this powerful media, marketing gurus at Vritti realized the immense potential. They targeted services and products that have a direct connect to the rural people. SBI, Good Knight Mosquito Repellent, Parle products and automobile were amongst the first choice. When Vritti Imedia designs campaign for a brand, it is assured that it reaches as many people as possible. No wonder, it gains unmatched popularity.